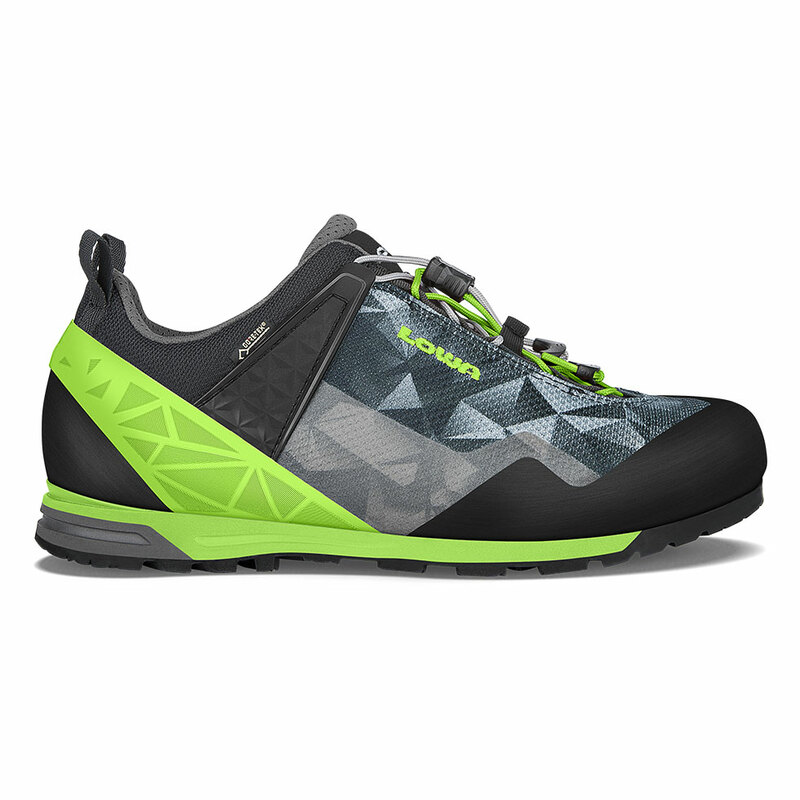 This new athletically inspired approach & via ferrata shoe was designed in collaboration with our Pro Team athletes. It features ultra-lightweight fabric uppers set on a new low-profile sole design for superb close-to-the-ground feel and stability. Exclusive Double-Speed Lace System allows you to adjust both the forefoot and rear-foot zones for a custom fit. Durably waterproof/breathable.